PHOTOS: Jason Kenney crashing the Throne Speech party at the Legislature last week. Below: U.S. President Donald Trump; the late Ralph Klein, premier of Alberta; Rachel Notley, the present premier of Alberta; and political commentator Ricardo Acuna. Jason Kenny, the social conservative social media enthusiast who will almost certainly become leader of the Progressive Conservative Party of Alberta and begin the process of dismantling it in less than two weeks, naturally hopes he can duplicate the success of Donald Trump’s successful U.S. presidential campaign last year. This is understandable even if Mr. Kenney’s dog-whistles and Trump-like social media bluster seem to speak to an Alberta that is fading away in spring of 2017. A Trumpist campaign could in fact work here in the face of the wrong strategic response by the government of Premier Rachel Notley, just as Mr. Trump’s campaign to make a version of America that is rapidly slipping into history “great again” worked against the odds south of the 49th Parallel. In Alberta as in the United States that won’t change the arc of history – but it could do a lot of harm in the short term. But Mr. Kenney’s campaign resembles the Trump campaign in another significant way: its singular lack of ideas. Indeed, Mr. Kenney – like Mr. Trump – really has only one idea, a profoundly negative one. To wit: dismantle everything the government now in power has done. This is likely to work out about as well as Mr. Trump’s effort to dismantle former president Barack Obama’s legacy is unfolding. Not very well at all. On Feb. 25, Mr. Kenney expressed this thought explicitly in a sophomoric social media post, an activity characteristic both of Mr. Kenney’s campaign and its model-in-chief south of the border. “There is no obstacle in the NDP’s legacy that we will not be able to undo,” Mr. Kenney crowed on Facebook, apparently an excerpt from a speech he gave to the increasingly far-right Manning Centre. He was talking about the Republicans’ “plan,” or lack of one, to undo president Barack Obama’s Affordable Care Act, commonly known as Obamacare, and to “reform” (meaning slash) corporate taxes with no thought about the consequences beyond the sloganeering symptomatic of believers in voodoo economics. Now, in truth, at this moment such rot goes much deeper in the U.S. Republican Party than among Alberta’s Progressive Conservatives, who still include some pretty sensible people. But all that will change when Mr. Kenney becomes leader on March 18. Notwithstanding his experience in Ottawa, which means he should know a thing or two about how our Parliamentary system works, his promise to dismantle everything willy-nilly is hardly evocative of thoughtful leadership! Republican-style intellectual rot is likely to be made permanent among the PCs when they choose Mr. Kenney because he has pledged to destroy the party and roll it into the more extreme Wildrose Party. Even if the Wildrosers resist, that means at a minimum there will be no room for the PCs’ progressive wing. “Red Tories” will be purged, just as they were by Mr. Kenney’s mentor Stephen Harper in the federal Conservative Party. Mr. Kenney’s supporters have already managed to harass several more progressive candidates out of the leadership race and, in one case, into the NDP. It is likely in the event of his choice as leader that genuinely progressive conservatives will exit en masse, as many of them are already doing, and all that will be left in the party’s hulk is the new leader’s sloganeering and dog whistles. How else can we describe Mr. Kenney’s plan when all it boils down to is the reimposition of the failed policies of the late Ralph Klein – which Alberta is still struggling to overcome? As the Parkland Institute’s Ricardo Acuna wrote last year in the Calgary Herald, it was Mr. Klein’s policies that got Alberta into its current mess. Then there was Mr. Klein’s selloff of public assets to friends of the government for less than they were worth – to “pay down the debt.” Plus the multi-billion-dollar infrastructure deficit he piled on, which we are still paying off. And the huge tax giveaway that made the province even more dependent on the proverbial resource rollercoaster. Fast forward to the present, and Alberta’s right-wing leaders – especially Mr. Kenney – are advocating exactly the same thing all over again. Fat chance! More likely, it would do just what Mr. Klein did: Stall the recovery, put another 30,000 public employees out of work with no corresponding increase in employment in the private sector, build another huge infrastructure deficit and strengthen opposition to Canadian pipelines from Alberta – perhaps fatally so. We sat through this movie once before. Now we’re watching the horrifying big-budget sequel next door. Well, that’s what happens when you elect people who don’t really have a plan except to dismantle what the last guy did. Could you be more biased very disappointing read ! Please, tell us what is biased about the data David presents. I lived through the de-Klein cuts to education and can testify to the reality of much of this post. You only have to do the math on the recent government cut to school fees…..and it’s not hard math. If reducing school fees by 25% saves a family with three kids in school $1,400 a year…..then rich conservatives have been building the economy on the backs of children in the 15 years since I retired….because even in the late 80s I remember the embarrassment of kids who couldn’t pay the fees then, and who had to go down tot he office to make arrangements to pay over time. Cutting public servants…who actually do necessary work……..and massively subsidizing big business’, who often outsource the work, or bring in foreign temporary workers who’ll work for less…..is no way to run an economy. It’s praised by the right wing most often, because it profits their big donors. But that’s just my experience. Why not spend some time and intellectual energy and tell us yours. Why does this blog seem biased to you?? 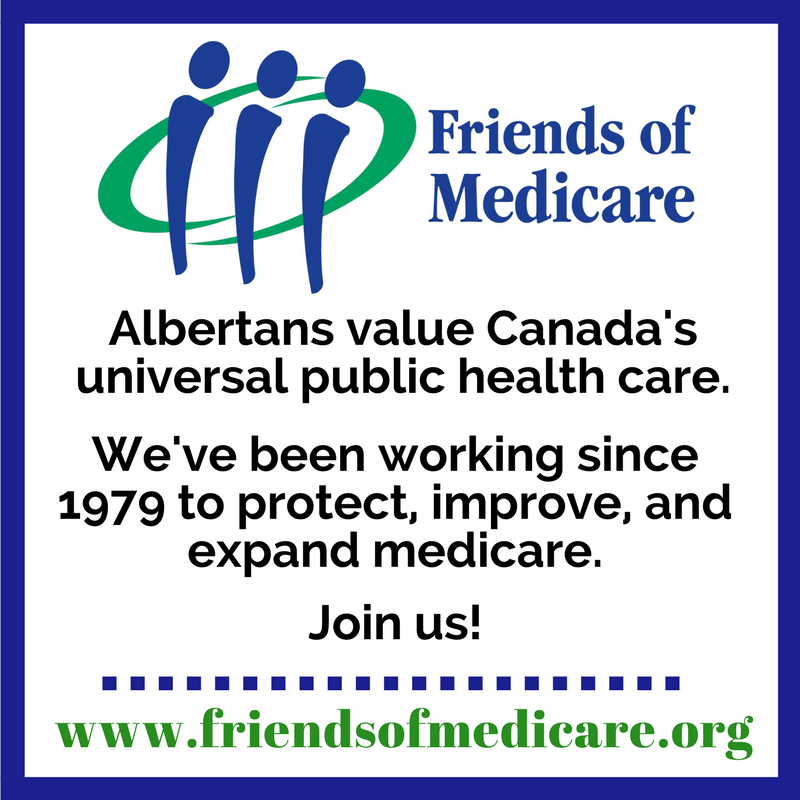 Between December 1992 and December 1996 Alberta created over 157000 new jobs of which 80% were full time. The 1994-1995 budget projected a small deficit but by the end of the budget year a just under 1 billion dollar surplus was achieved. It doesn’t sound to me like the economy was held back by less government spending, in fact just the opposite. By 1996 health spending had been reduced by 7.7% and education by 5.1%. Alberta’s budget was 14 billion in 1996, today we spend over 50 billion almost 4 times as much. I think Alberta was a victim of its own success, we attracted so many people to Alberta we couldn’t increase our services fast enough to keep up. By the time our next election rolls around we will have racked up almost 3 times as much debt as Ralph Klein faced when he first became Premier, that is a sobering thought. The population of Alberta in 1991 was 2,545,553. The population of Alberta in 2016 was 4,268,929. Given the 3% growth rate over recent years, the population at next election in 2019 will be 4664774, or 1,83 times larger than in 1991, one year after Klein’s election. Inflation has also taken a large bite in will have been 28 years. Your “3 times as much debt” is not so much sobering as “profoundly misleading”. At even 2% inflation, combined with population growth, more than accounts for the increase in debt. Per capita, there will have no increase at al. Simple math, when Ralph Klein came to power Alberta had just over a 21 billion dollar debt. In the Alberta NDP’s 2016-2017 budget they project a deficit by the end of the 2018-2019 budget period of 58 billion, a debt 2.75 times as large. I apologize for the slight exaggeration. I do agree the purchasing power of a dollar is much less today than in 1993 but what I said was correct. What you said is meaningless because it ignores population increases and inflation. If you account for those factors, there is no increase in the per capita debt, and per capita is the number that matters. Let’s look at another way then, when Ralph Klein retired Alberta had no debt and a 17 billion dollar sustainability fund. The PC’s under Stelmach, Redford and Prentice spent 14 billion of that fund. The NDP spent the last 3 billion and then are projected by their own budget to add 58 billion dollars by March of 2019. From the peak of 17 billion in savings to a 58 billion dollar debt is quite a slide, 75 billion to be exact. It doesn’t matter whether that is 1993 dollars or 2017 dollars that is a lot of money and shows that Alberta has had over a decade of poor financial governance! sure, no debt growth, if to ignore the fact that from summer 2004 to spring 2013 Alberta actually had $0.00 debt. 2016 deficit $10.4B – up more than 100%. seems like way above inflation rate and population growth during those 3 years. “Between December 1992 and December 1996 Alberta created over 157000 new jobs of which 80% were full time.” Post a citation please and if you’re feeling diligent show one for UI stats and GDP. The rest of your faux history lesson could certainly use some factual basis but feel free to quote some astroturf info-mill. Links are your friend. Using them might actually make your argument that kicking out your children and then selling off the family silver for magic beans like Klein did makes sense! 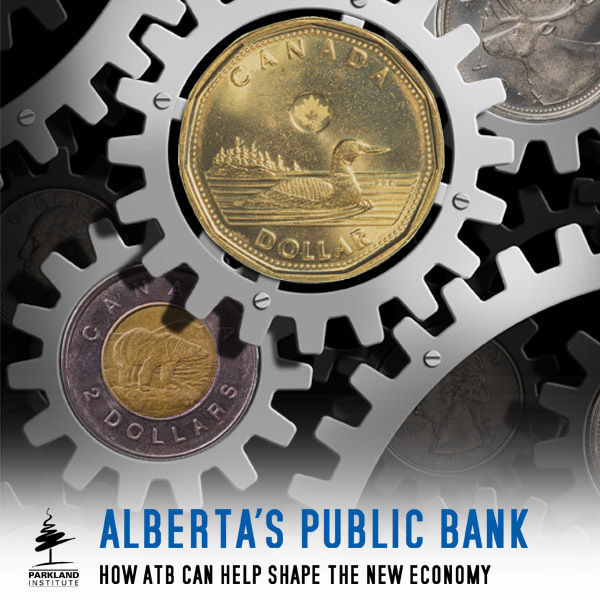 Most of the information is found in financealberta.ca. Reading present and past budget documentsis quite interesting. Alberta has experienced a large increase in population as pointed out by D&G and the historical availability of good paying jobs has drawn many to our province. Government cannot create jobs it can only create a positive environment where business is willing to invest. We need to step back, do some thinking, and ask ourselves why we keep buying the right wing koolaid that investors from away (like whom? Saudi Arabia? China? The Koch Bros?) are who are going to create jobs (doing whatever) and make us all prosperous again…..as we all were (not) during the Oil boom. There are some serious disconnects out there….and no magic bullets. But I heard recently (on CBC) that studies show for every 100. invested in child care, the government gets back 108 in tax revenue. So just maybe, taking care of our children and our old people puts people to work……..and just maybe those jobs are permanent, full time, and non CO2 producing. Farming also could create jobs Farmer B……..if we stopped waiting for foreign investors and foreign temps to put up the money and do the work. But to get back to taking food security seriously again, we’d have to invent a different economy than the ‘business as usual’ race to the bottom the radical right have been selling us for 30 years. WHERE’S THE MONEY GOING TO COME FROM? cry the well heeled sceptics. There will be plenty of that, once we drain the dark money swamps and get back to a fair and progressive tax system. That a handful of rich white men control what they do, is a recipe for disaster. Those bastards don’t know how to do anything very useful…been too busy all their lives cheating and telling lies. Might sound harsh…but we don’t have 100 years to wake up and smell the manure. PS “sobering thought”. Ralph didn’t have one of those during his adult lifetime. Farmer B: I had children in school during the Klein cutbacks and they suffered because of it. Many of their cohorts who had the academic ability left Alberta never to come back. Let’s not forget the hundreds of nurses and other professionals we paid to train who also left the province. Those jobs you speak of came as a result of Klein approving an excess of Tar Sands projects, lowering royalties and providing subsidies for well drilling. This made Alberta the highest cost jurisdiction in North America to do business in. This was a policy of short-sighted greed that Premier Lougheed had prudently avoided. You might also remember that poor Saskatchewan under Calvert’s NDP eliminated its provincial deficit more than a year before Alberta did with no cut backs to schools or hospitals and no give-aways of public assets to friends in the private sector. But how do you know Klein’s policies actually, empirically caused the job growth? Just because one happened after the other is not proof. Economics is a sticky, complicated mess , popular hyperbole notwithstanding. Expat, in the above blog Dave quotes a member of the Parkland Institute who states that Klein’s policies held back economic growth. My kids were young as was I in the beginning of Klein’s tenure. I don’t remember his policies causing me and my family hardship. To answer your question, I don’t think anyone even an economist can say whether his policies caused the job growth. As a farmer it would be difficult to up and move my business to another province or country tomorrow. Multinational companies have the ability to invest anywhere they chose, I do not. If I was running a large corporation I would undoubtably look for jurisdictions with the highest rate of return. Layering on regulations and taxes make running a business more costly. I think the changes Ralph made lowered taxes and regulations and therefore attracted more investment. Today’s NDP government is sending conflicting messages. On one hand they have lowered royalties on conventional oil and gas, on the other they have layered on many new taxes and regulations. There is no doubt they have made the investment climate less friendly unless you a professional light bulb installer lol. What I am curious about is, Ralph Klein is constantly being accused of giving away our resources. Rachel Notley’s government has lowered the royalties on conventional oil and gas below what Ralph Klein set them at yet she is nevered accused of giving away our resources, why is that? Well thank you for admitting as much. Dear Expat: nice … , but to test the idea, ask: what would have happened if Klein had followed Lougheed’s policy of limiting growth (by not giving out development permits to all comers) in the face of rising commodity demand to manage inflation and the domestic cost structure? Good question, Kang. I won’t hazard a guess, though. Expat: you don’t need to guess – just read history. Lougheed’s policy meant the Syncrude project was built at a reasonable cost in terms of labour and materials as were a couple of other large tar sands plants. His coordination of that project with the James Bay Hydro-electric project meant Canada did not suffer from Dutch disease and infrastructure like roads, schools, hospitals and so on were developed to accommodate a moderate and sustainable growth rate. It was a text book case of intelligent economic management which Norway adopted and kept. Oh, and the Heritage Fund was started which those who deposed Lougheed looted and then King Ralph put the “pedal to the metal” on development. economy is just an economy. “sticky, complicated mess” there made by by stinky people. it’s easier to fish in muddy waters. As always, it’s great to get some Lutonian wisdom from Mrs. Vilve Yachke when the Happy Wanderers weigh in. Thanks for the cabbage rolls and coffee! 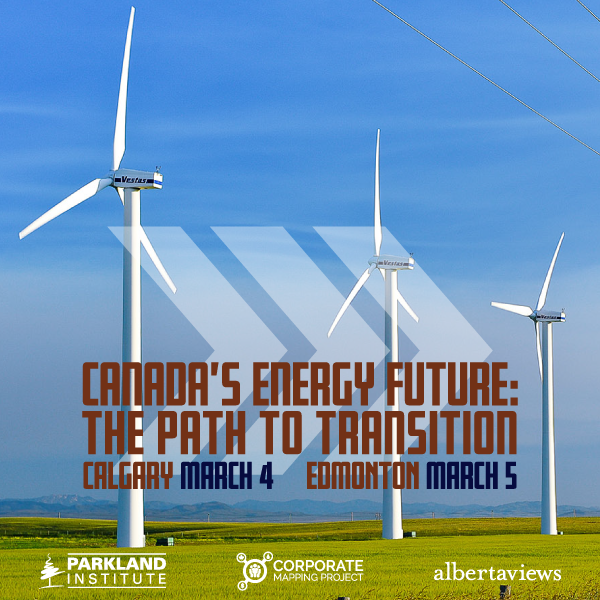 >get Alberta back on track as the beating heart of enterprise in Canada. Albertans were, to paraphrase Ann Richards, born on second base but act as though they hit a triple. There will always be those voters that will blindly support Jason Kenney and fall prey to his libertarian ideals, but let’s hope after all the Kenney bombast and bluster, severely normal Albertans will see through the vitriol and manufactured animus. Premier Notley continues to receive praise from all quarters in her ability to provide level-headed and prescient leadership. When voters go to the polls in 2019 the government will likely have an enviable track record of achievement to hang their hat on. If Notley continues to punch above her weight, Kenney or Brian Jean will never be able to measure up; regardless of any red meat, dog-whistle smear campaign they may undertake to defeat her and her government. A steady hand on the tiller always defines good government. The fear mongering really ramped up in this post! I thought the right was only capable of that ;). Joking aside, if things were so bad back in the mid 90’s under our former government, why did so many people immigrate (internal and external) to Alberta during the mid 90’s to the mid 2000s? Oil prices were global and B.C. and Sask had/have the oil/gas as well. Farmer B also hit the nail on the head that, “Alberta was a victim of its own success.” Although I wouldn’t call us a victim yet. Alberta is still one of the best places to live in the world. But with the crazy “Agenda” being forced down our throats, time will tell how long that will last. return still in place, albeit not as few years back at artificially driven rates, and will be in place at least for another 100 years or until the really efficient alternative to carbon based energy will be discovered. His idea seems to be to oppose anything that other political parties propose. His idea is to do this without uttering or bringing forward one alternative or concrete policy. He is the epitomy of the old chicken in every pot and a pot on every stove politician. Jason Kenney is a washed up, has been Ottawa politician looking for another trough /meal ticket. His ‘sweeping’ will be limited to sweeping in a bunch of his cronies and acolytes. Only the name tags will be different. Sad thing is, because people normally can’t distinguish coincidence from causation, I can see Kenney performing his voodoo show and getting credit for an economy that improves for completely independent reasons. Sort of the flip side of what is currently happening, with Rachel Notley being blamed for a world oversupply of oil (and her successful negotiation of pipelines completely ignored). Has Kenney promised to drain the swamp? As a swamp creature himself it would be interesting how that gets spun. It seems, although they don’t get much credit, the Notley government has been doing some draining. The only Canadian politician who sounds like Trump is Kellie Leitch. Kenney is more of a John Kasich, pretty moderate by American standards. In fact, Kenney’s even invoked former Saskatchewan Premier Roy Romanow (a Dipper!) as an example of how to pay down the provincial debt.